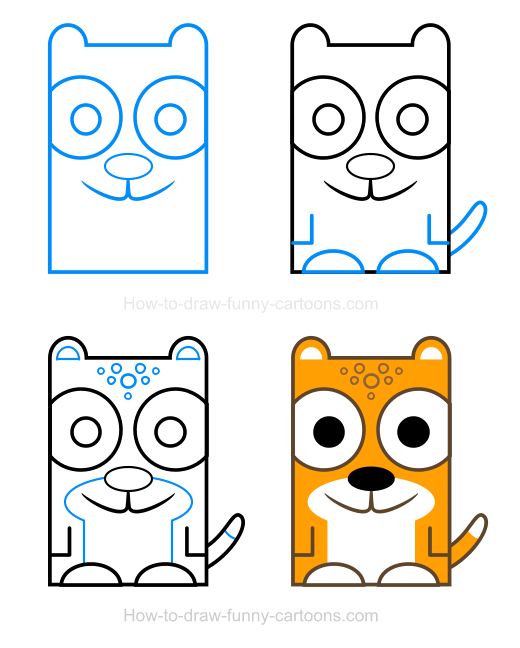 Enjoy a simple drawing lesson featuring a jaguar clipart that can be made in just three easy steps (and an additional one for colors!). 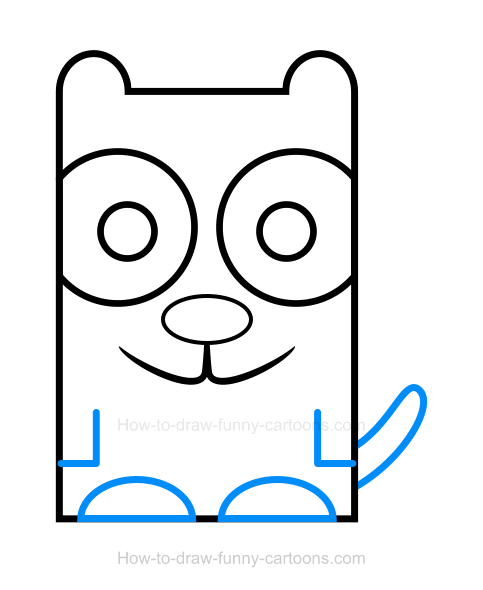 If you can draw a simple circle, then you can definitely create a simple cartoon character like the one found on this page. Jaguars are big felines mostly found in North America and South America. This solitary animal is a cruel predator with a powerful jaw and strong legs. It can run at high-speed while looking for small animals or other preys. It's a dangerous animal to be around of so better be careful! Fortunately, the version found below is docile and friendly. 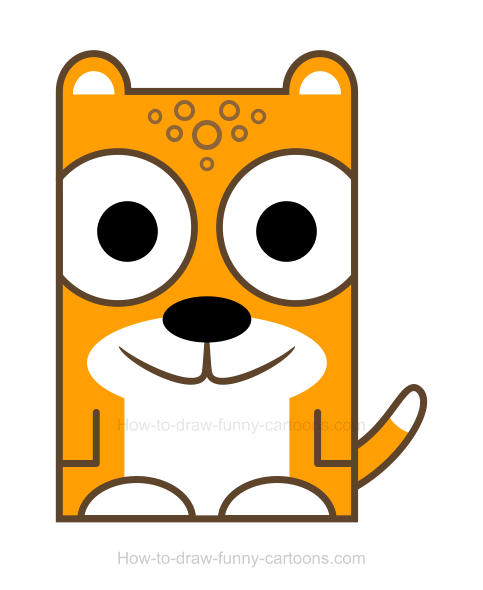 Using only basic drawing skills, you can duplicate this cartoon jaguar in just a few minutes. Ready? Let's draw this fun cartoon animal now! You can start with the creation of the body using a large rectangle made with a bold outline. 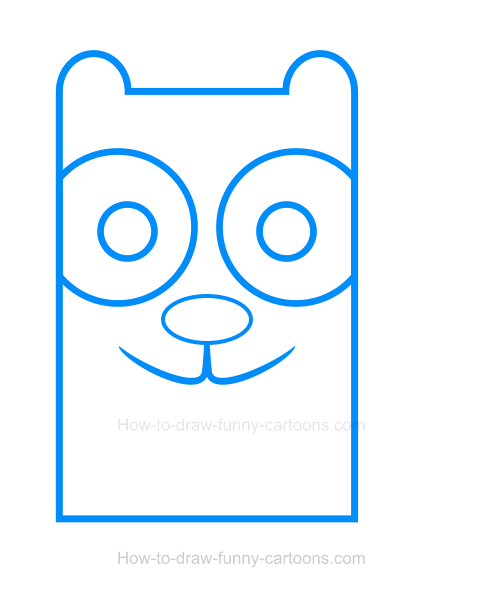 On top of this new shape, you can draw two circular shapes to illustrate the ears of the cartoon jaguar. Then, draw two large circular shapes to form the eyes of the character. Inside the eyes, draw two additional circular shapes to illustrate the pupils of the jaguar. Finally, you can draw a large oval shape to represent the nose and add a mouth using small pointed lines. On the bottom of the character, you can sketch a large tail using mostly curved lines. The arms are done with straight lines and the feet are also made from curved lines. When you are done, you can proceed with the third step. Inside the ears, sketch small patches as shown in the illustration below. On the forehead, you can also draw small circular patches. A small line can be added on the tail and long curved lines are also drawn on the stomach and around the mouth of the jaguar clipart. The body can be filled in with a bright orange color. Use the same color inside the tail of the jaguar. The eyes and the nose are colored in black. The feet, the tip of the tail, the ears and the large patch on the body are simply colored in white. Finally, all outlines are filled in with a dark brown color. These are the steps needed to create a jaguar clipart!